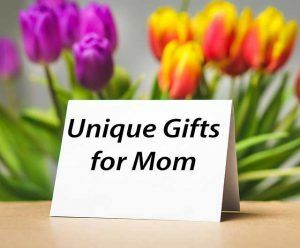 I'm Joyce, the Gift Detective, and I'm always on the lookout for unique exciting gifts for Mom. Of course, there are flowers, candy, jewelry, and even gift baskets from Creative Gifts to Go . But this year, I want to suggest some gift ideas that really unique, really special, and something that will be remembered for years -- long after the flowers die, the food is eaten, and the bath products are used up. Create a webpage for your mother to share with her family and friends. She may already have Facebook to share pictures and things that are going on in her life, but this is different and much more special. With WordPress, it is easy to do. You can add pictures of her as she was growing up.Or turn the site into a tour with vacation pictures. Use old photographs to create a family genealogy tree.Make a "My Sweethearts" page to add pictures of her children and grandchildren.You could even add a page that tells her how wonderful you think she is and how much she means to you. Remind her of the times when she was there for you when you needed her or how she inspired you.She can share this with her friends or she may even just want it to be there for her to click to and read when she needs inspiration. If your mother isn't an Internet user, or even if she is, you can create a "Love Book that she will keep forever. You can create it on your computer and print it out or even use Amazon Createspace to have one bound and printed for you. Include some of the ideas above but you could add poetry, photos of the kids as they were growing up, even favorite family recipes. Ask the other kids to send you "A Love Letter to Mom" to include. In other words, include anything and everything that would be special to her. You can find a variety of other unique and thoughtful Do It Yourself Unique Gifts for Mom on this Pinterest board. While you are there, follow me and discover other finds from The Gift Detective. Regardless of whatever gift you choose for Mom, she will love you for remembering her on her special day.